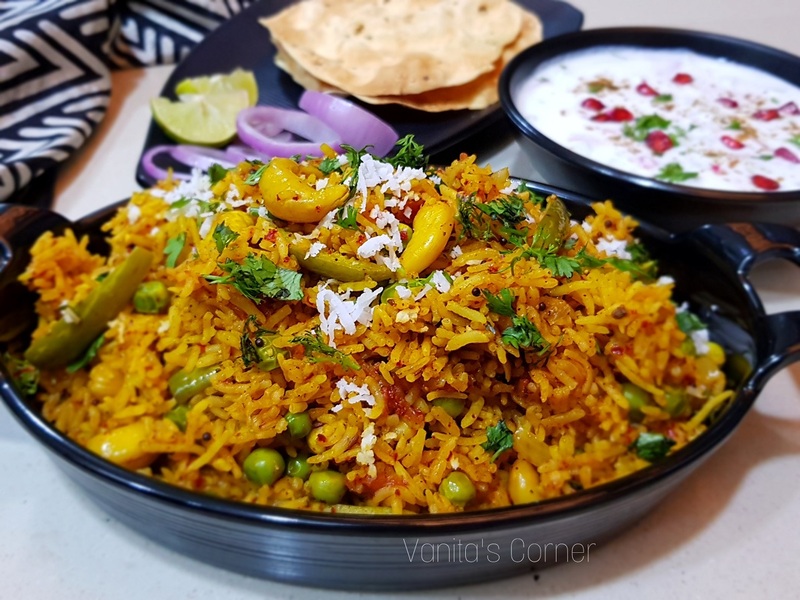 Masale bhaat is a traditional Maharashtrian rice preparation. Rice is cooked with vegetables and masalas (spice powder). I have given below the recipe for the masala powder. Instead of this masala powder, one can use readymade Maharashtrian Goda masala. Here, I have used tendlis (ivy gourd), green peas and potatoes. You may add other vegetables like cauliflower, carrot, French beans etc. as per your choice. To make the masala powder, heat 1 tsp oil in a pan and roast all the items one by one (mentioned under masala powder). After it cools, grind into a fine powder. Keep this aside. Wash the rice and soak it in water for 30 minutes. Heat ghee in a deep pan. Add bay leaf, mustard seeds, cumin seeds, asafoetida and saute. Add chopped onions, ginger, garlic and saute well. Add chopped tomato, cashews, mixed vegetables and mix it well. Add the masala powder and mix. Add the rice, around 2 ½ cups of water, salt and mix it well. Cover and cook for 15 to 20 minutes on medium flame. Garnish with chopped coriander leaves and grated fresh coconut. 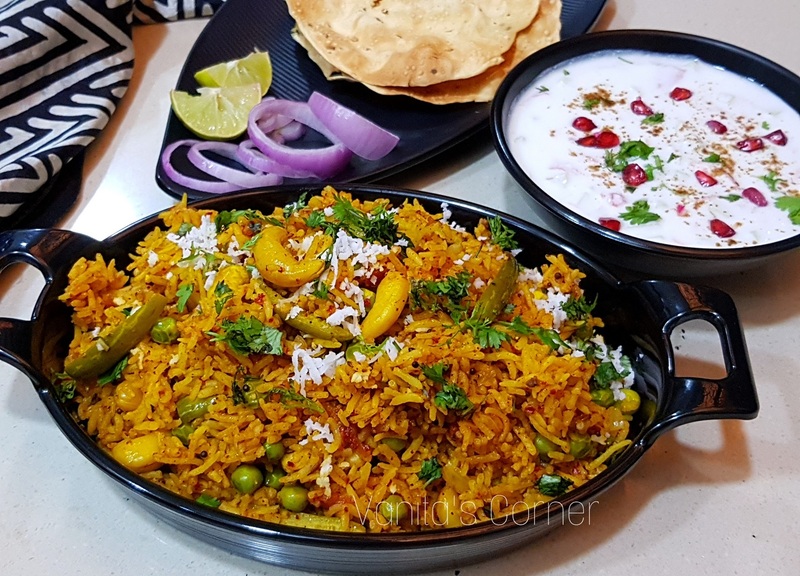 Serve the masala bhaat with raita and pickle. Note: If using readymade Maharashtrian Goda masala, then add around 2 1/2 tbsp of the masala.